Growing your business means keeping a line of sight to your goals. 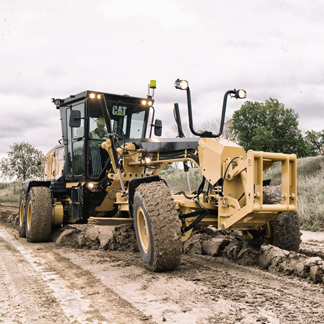 New Cat® M Series 3 Motor Graders help you stay on track with more advanced engines and aftertreatment for reduced emissions and better fuel efficiency. 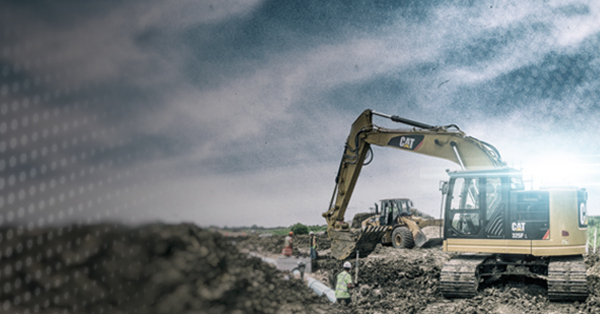 Enhancements in control, grading technology and operator comfort help you get more done. 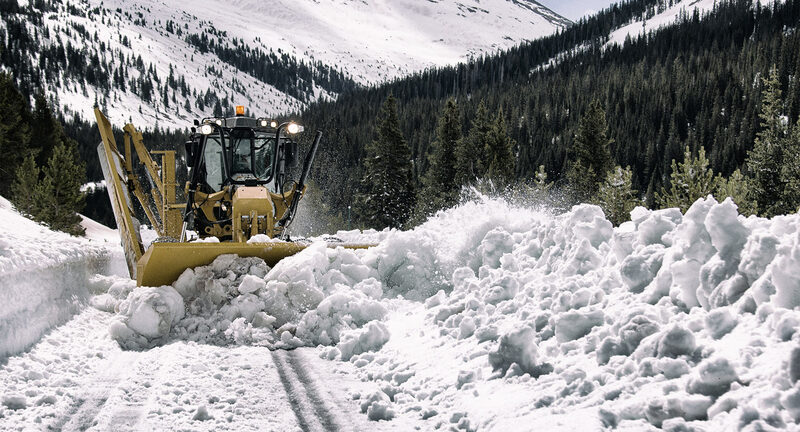 On all sorts of jobs in all kinds of conditions, Cat Motor Graders deliver efficiency gains and better margins for your business—precisely what you need to edge out the competition. 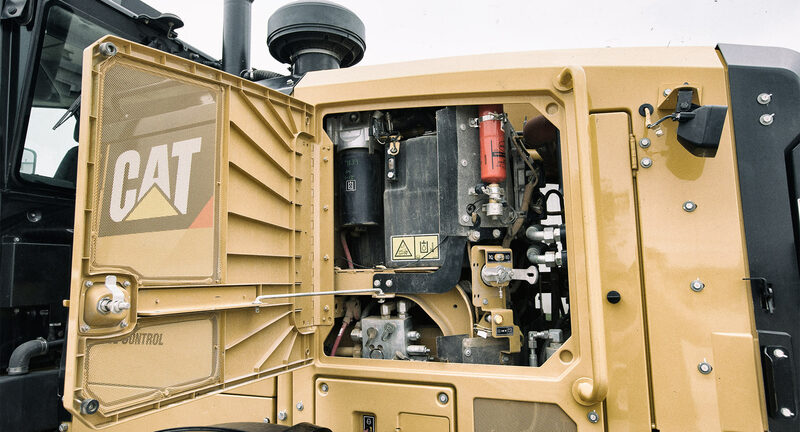 Tier 4 Final engines feature “transparent” emissions reduction technology to boost your productivity—no operator action or stopping the machine required. Regeneration runs automatically at cold start-up and while the machine is running, if needed. Standard Automatic Differential Lock/Unlock improves production and comfort, and full Electronic Clutch Pressure Control delivers smooth shifts and directional changes. 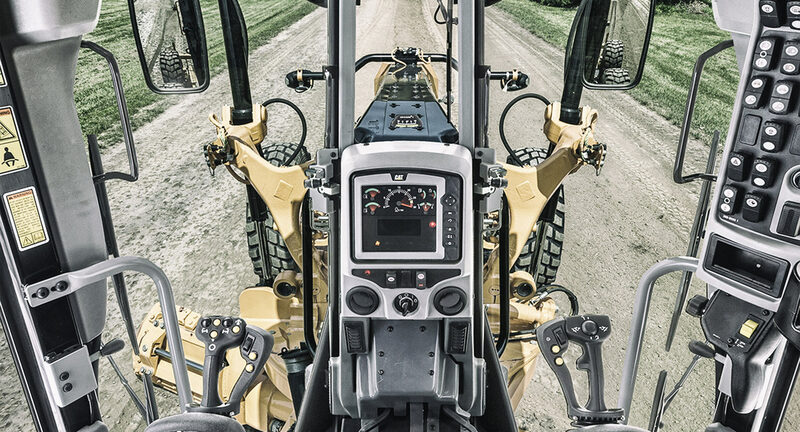 M Series 3 transmissions feature Advanced Productivity Electronic Control Strategy (APECS) software to enhance performance. The result? 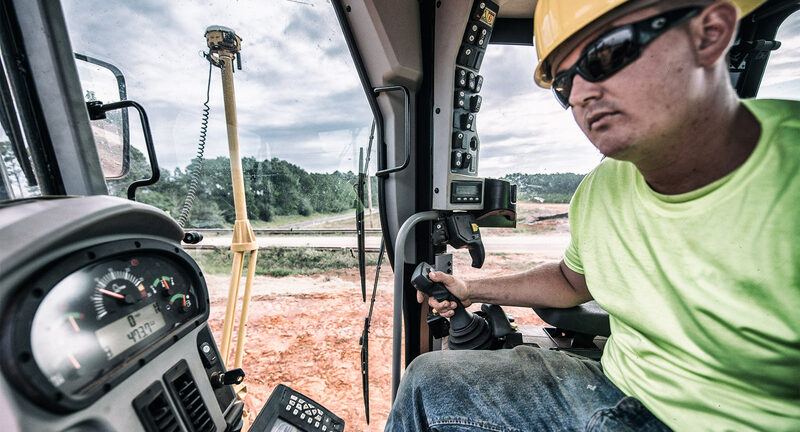 Operators experience more consistent torque through shifts with reduced shift forces and variations. Plus, the optional Autoshift feature is 25% faster. Enable the standard Engine Idle Shutdown Timer to stop the engine after a set period, saving fuel and reducing emissions. Use the new Economy Mode—which reduces engine speed so the machine works in a more efficient range—to achieve fuel savings of up to 10%. 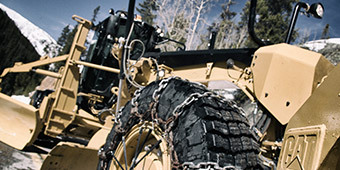 All-Wheel Drive models deliver more power to the ground for better traction in soft underfoot conditions. 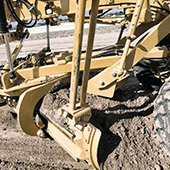 That means less sliding on side slopes and greater efficiency in mud, gravel, sand or snow. AWD models also feature the Cat Steering Compensation System, which enables a “powered turn”—adjusting the outside front tire speed up to 50% faster than the inside tire. 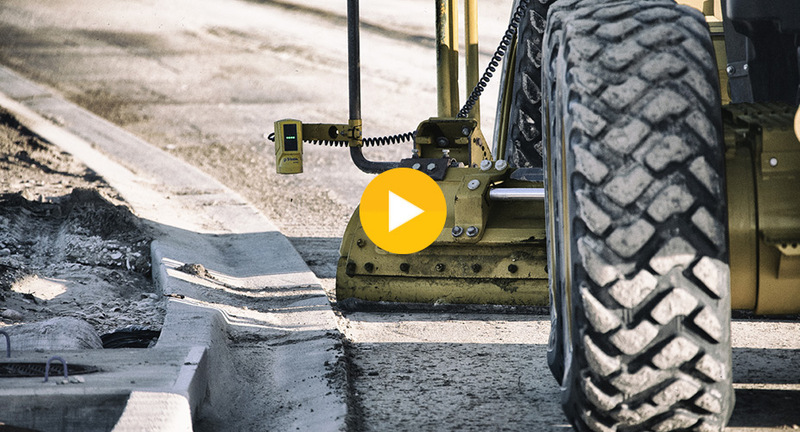 That improves control, minimizes surface damage and significantly reduces the turning radius in poor underfoot conditions. Low-effort joystick controls replace the levers and steering wheel, reducing hand and arm movement by 78%. A redesigned message display shows machine performance and diagnostic information. 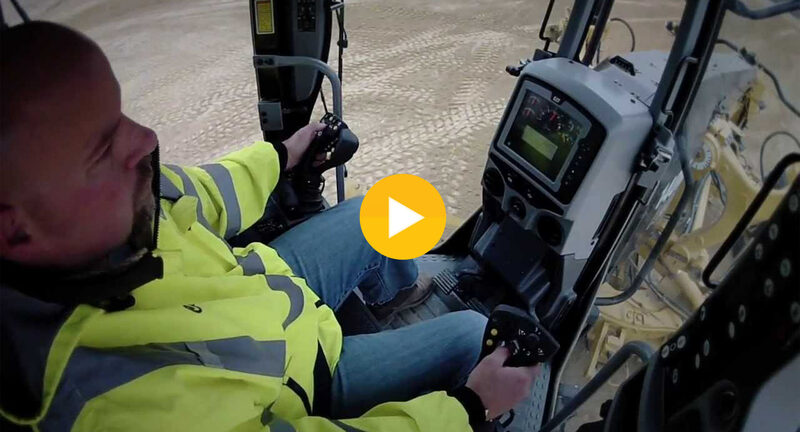 Heated and ventilated seat options, electronically adjustable control pods and significantly reduced sound and vibration all combine to enhance operator comfort, reduce fatigue and deliver shift-long productivity. 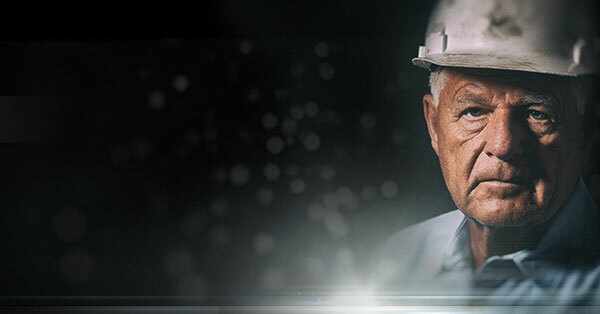 When it comes to grading, keeping accuracy high and rework low is critical in getting jobs done on time and on budget. 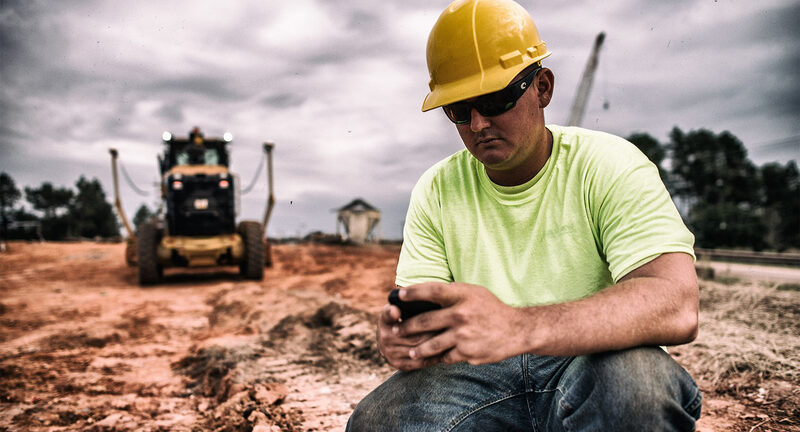 You need an edge in the areas of productivity, operator efficiency and equipment management. 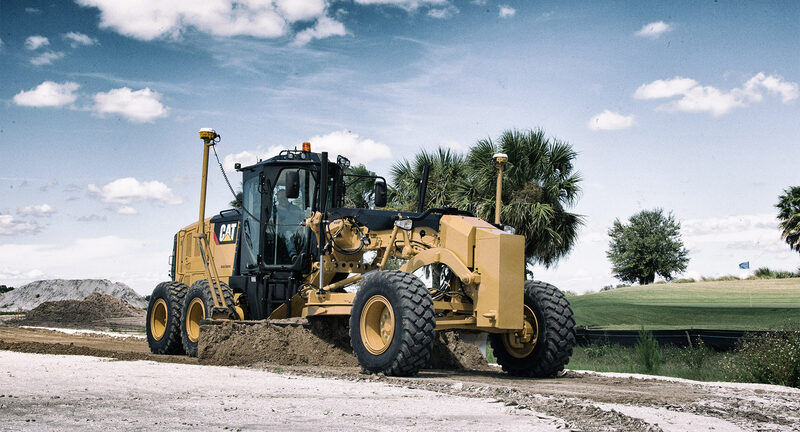 On M Series 3 Motor Graders, Cat Connect technologies deliver that edge—enabling precise, cost-effective grading in a range of applications. 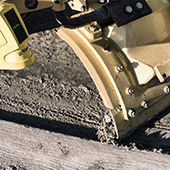 Looking to improve grading efficiency and cross slope accuracy? 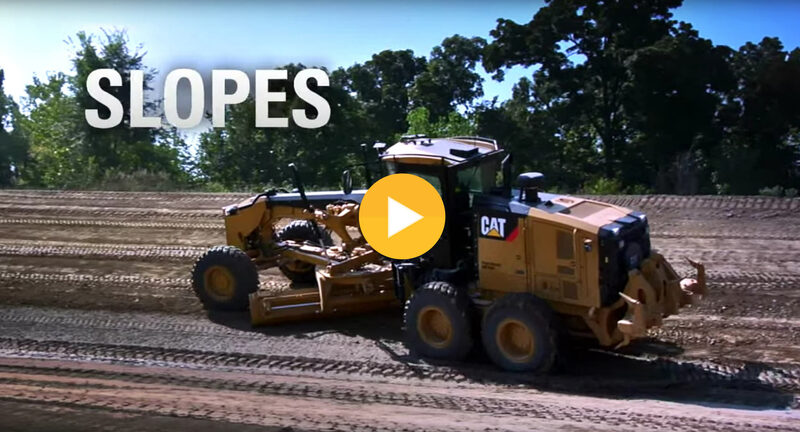 The Cat GRADE with Cross Slope system, a Cat Connect GRADE technology, automatically controls one side of the blade, so operators can hit target grade faster, in fewer passes—saving money on fuel and materials. Real-time blade positioning and cut and fill data in the cab guide operators to grade, increasing confidence and productivity. 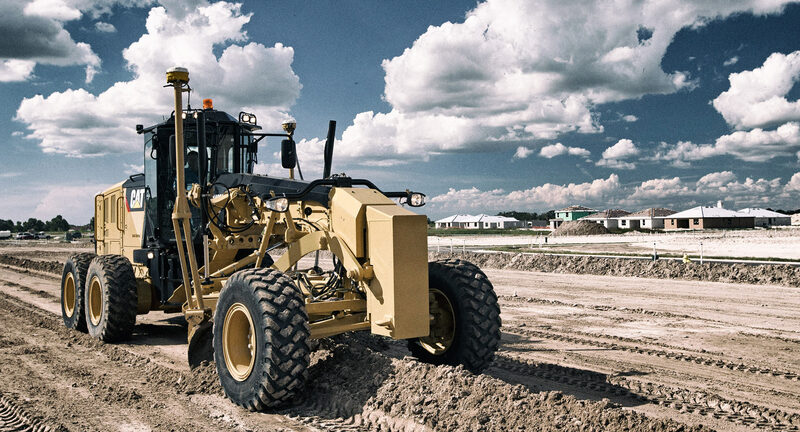 Fully integrated and factory-installed on all M Series 3 models, Cat GRADE with Cross Slope ups productivity and accuracy by nearly 50% versus conventional grading. 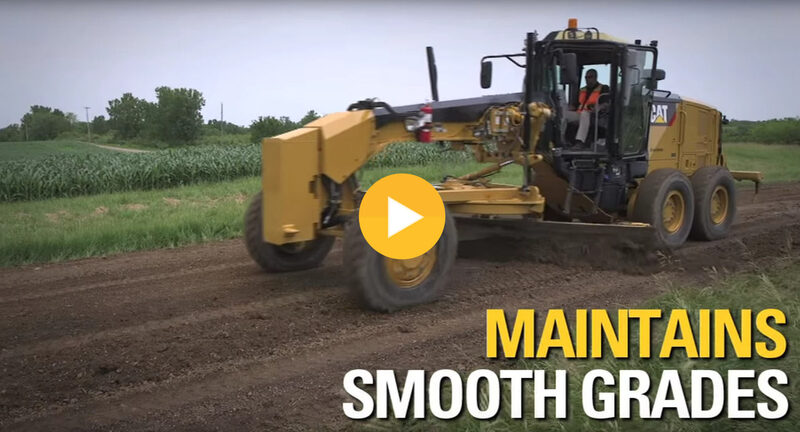 This Cat Connect GRADE technology also reduces the need for grade stakes and checkers, cutting costs and enhancing jobsite safety. 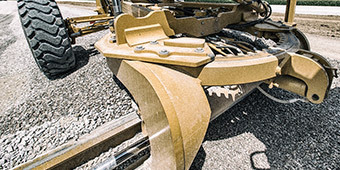 When you need additional control, your Cat dealer can install AccuGrade™ upgrade kits with sonic, laser, GNSS and UTS technologies as required. 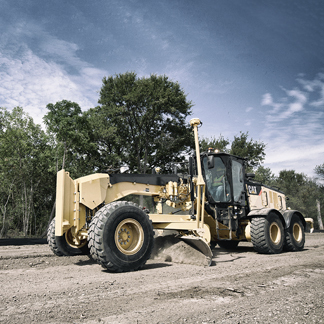 Run automated systems, like Cat GRADE with Cross Slope or AccuGrade, without taking your hands off the controls. Save up to five frequently used slopes and return to them in an instant for quick transitions between grades. Tilt a snow wing, put it in float or raise and lower the mast—all from the joysticks. They’re easy to learn, easy to use and built for maximum efficiency. 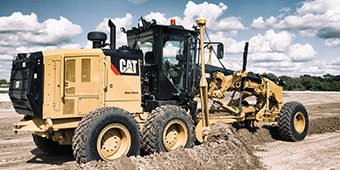 Cat Connect LINK technologies come standard on all M Series 3 models. Product Link™ collects information via sensors and control modules, then transfers it wirelessly to the VisionLink® web-based user interface. 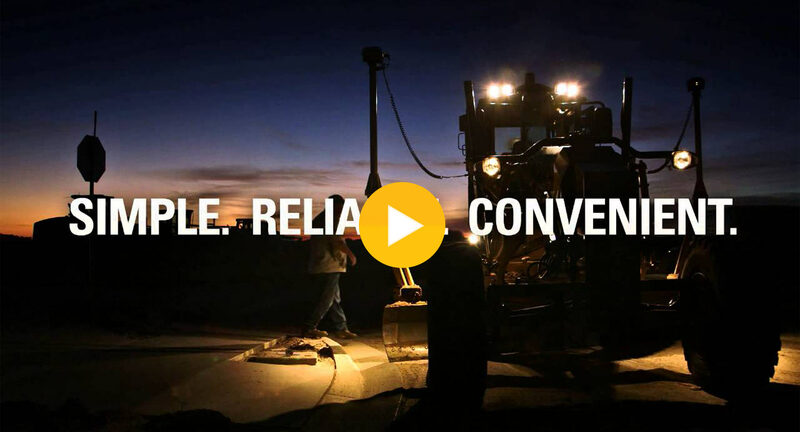 Real-time data about location, hours, fuel use, productivity, idle time, diagnostic codes and more supports timely, fact-based decision-making that can boost your uptime and reduce your operating costs. Millions of hours strong and counting. 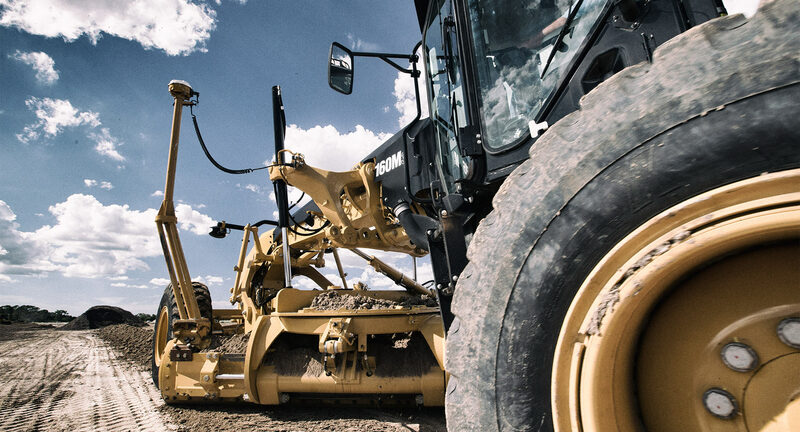 We’ve been building the most durable, productive and comfortable motor graders on the market for generations—and our newest models leverage the proven performance of their predecessors. 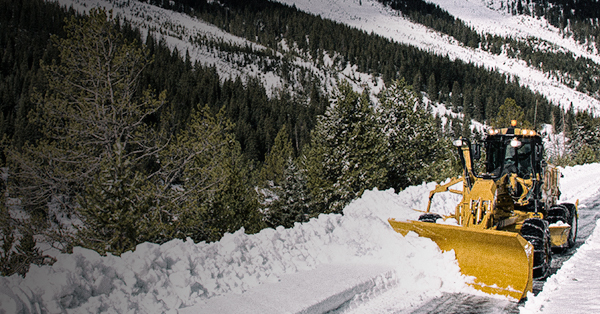 Whether you’re building or maintaining roads, removing snow, cleaning ditches or doing site prep, we give you a productive edge. 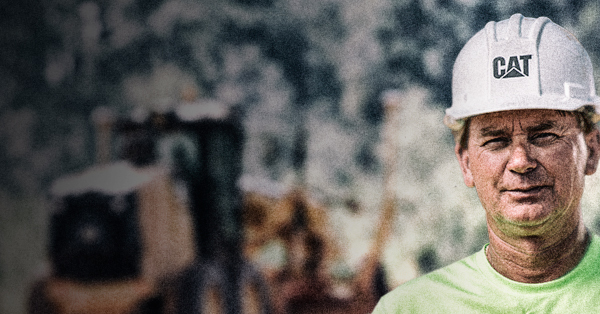 Helping you do more work in less time at a lower cost. That’s our pledge to you. 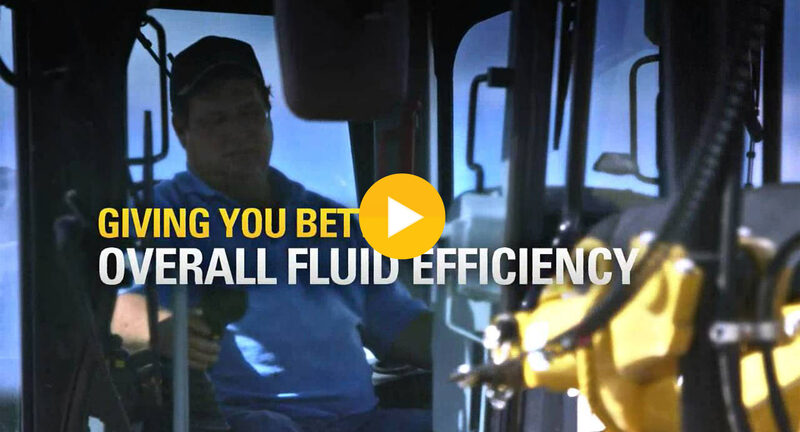 And it’s why we’ve built even more fuel-, money- and time-saving features into our newest motor graders. Add quick maintenance, cost-effective service and great resale value, and you get the best return on your equipment investment. You’re thinking ahead, and so are we. Improving fuel efficiency. Reducing emissions. Extending component life. Eliminating waste. Minimizing noise. Enhancing safety. It’s all designed to help us all run more sustainable businesses—today and tomorrow. 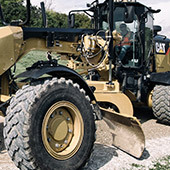 Ensuring the people in and around your motor graders stay safe is a top priority. It’s an objective we’re committed to as well. 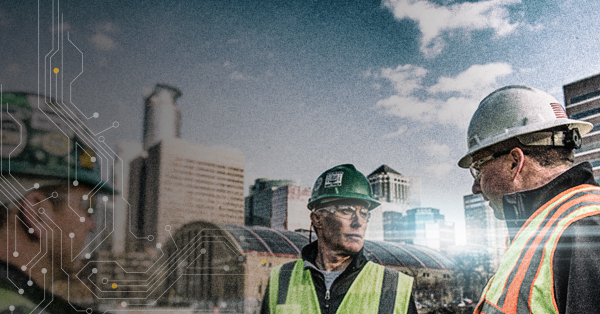 That’s why you’ll find multiple safety features designed into every machine we offer. 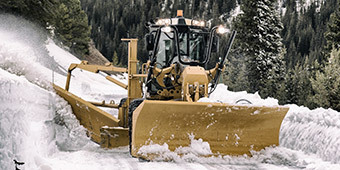 On our newest motor graders, that includes Operator Presence Monitoring, Speed Sensitive Steering, Secondary Steering System, Hydraulic Lockout and more. 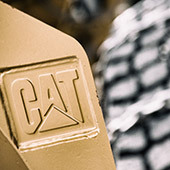 When it comes to supporting you and your business, Cat dealers are second to none. 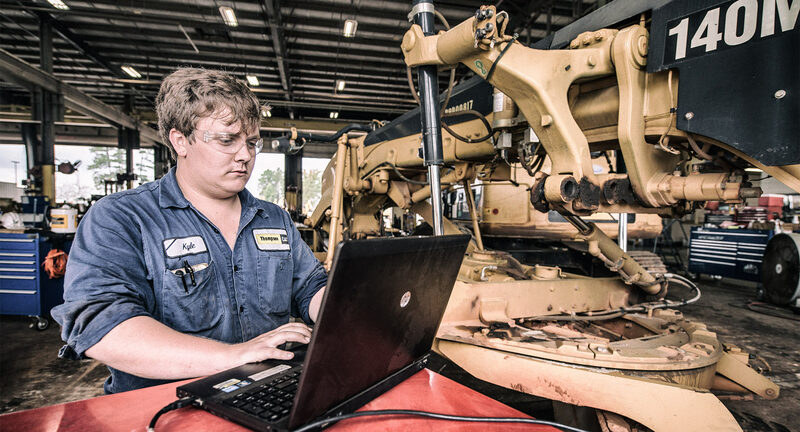 Skilled technicians, prompt parts service, advanced service fleets and unparalleled expertise keep your motor graders working more productively and profitably.